Badla Trailer, Amitabh Bachchan & Taapsee Pannu Starrer Promises A Intriguing Tale! After the series of posters, finally, the much-awaited trailer of Amitabh Bachchan and Taapsee Pannu starrer Badla is out. Directed by Sujoy Ghosh is all set to hit the screens on 8th March 2019. As we were expecting, the trailer is quite intense and amazing that creates good interest among the audience for the film. Amitabh Bachchan took to twitter to share the link of Badla trailer with his fans. He wrote, “Sach nazar ke saamne hai, par nazar jhooth par hai. Watch the twisted truth trapped in a web of lies in the #BadlaTrailer”. 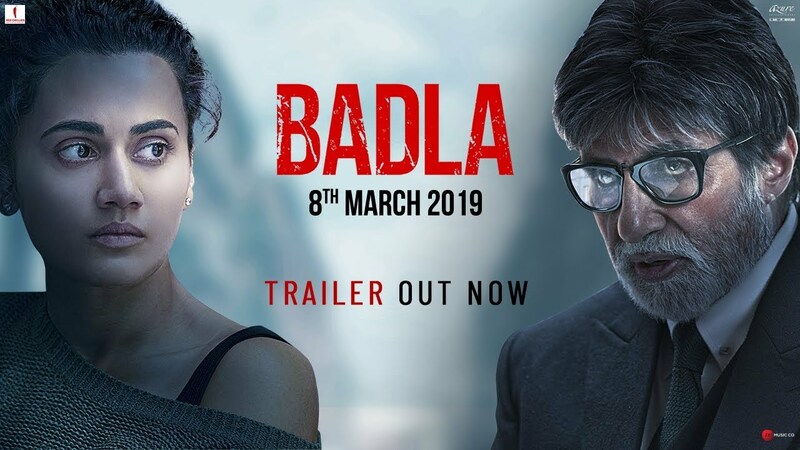 With the trailer, Badla has also made a good impressive over the fans as well as moviegoers, and now all are looking interested toward it’s release. We trust Sujoy Ghosh enough to expect a flawless film from him.